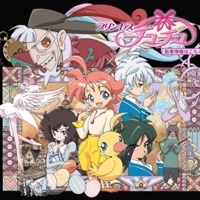 The story of Princess Tutu starts with a duck who fell in love with a prince and if she confess, she will turn into a speck of light. It is inspired by ballet and fairytales. 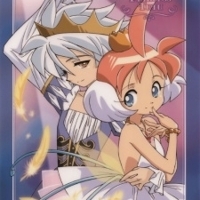 Drosselmeyer, the writer who can make his stories come to life died before he could finish the story of Princess Tutu. The Prince and The Raven who was the one of the main characters got into an eternal battle. After many many years, the Raven managed to break out into the story and came to the real world. The Prince Mytho, decided to pursuade him. In order to seal the Raven, he shattered his own heart with his own sword, causing him to lose all his memories and emotions. Drosselmeyer had become a ghost and decided that the story must now end. Drosselmeyer added a new character named Princess Tutu. He finds it in a tiny yellow duck that has fallen in love with the prince. He asked the little duck if she wanted to bring the prince’s heart back to him. She agreed to take on the role of Princess Tutu. She was given a red pendant by Drosselmeyer which enables her to transform into a girl. Duck ak.a Ahiru awakes from a dream where she is a duck and she stares at Prince Mytho while he is dancing ballet. Duck discovers that her senior Mytho is inside that room. Because she was nervous seeing her prince, she trips accidentally but Mytho dives in to catch her but he ended up twisting his ankle in the proccess. Fakir, Mytho’s roommate showed to pick him up and discovered that Mytho sprained his ankle so he got very irritated at Duck and Mytho for helping people out. The next day, Duck was resolved to apologize to Mytho again and she finds him looking at the canary chicks beginning to fly. One of the chicks didn’t jump until a crow attempts to attack it. Mytho leaps to catch it successfully but he was falling.